This 3 piece Pine Tree Fireplace Tool Set and holder is made of steel with a rust patina finish. Each tool has a decorative twisted handle. 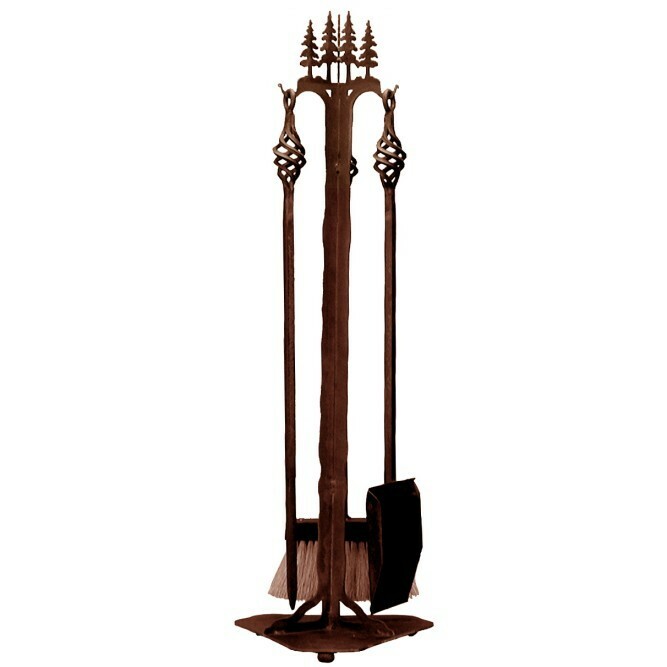 This fire place tool set includes one broom, one poker, one shovel and a holder with a pine tree profile.